Finally. 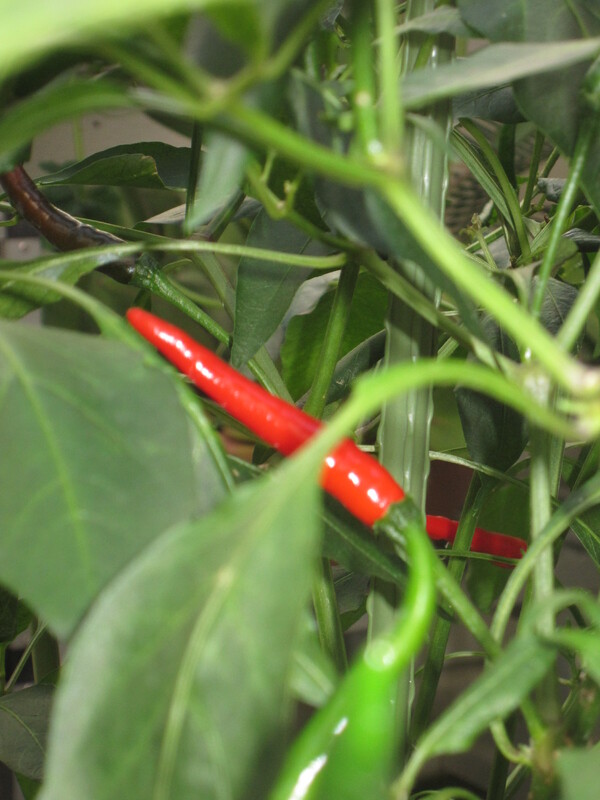 Our successful chillies have shown their true colours. Red! And they are still standing almost upright – you can tell from the position of the stake just behind it. It took almost a month to get the chillies from green to red though. Mummy will slice some for her noodles and if they are really spicy hot, Novice Gardener will be very happy. Cousin 2 may not have a long life, it started off the same size but looks sad and shrivelled now. Also, do you notice some weird things? 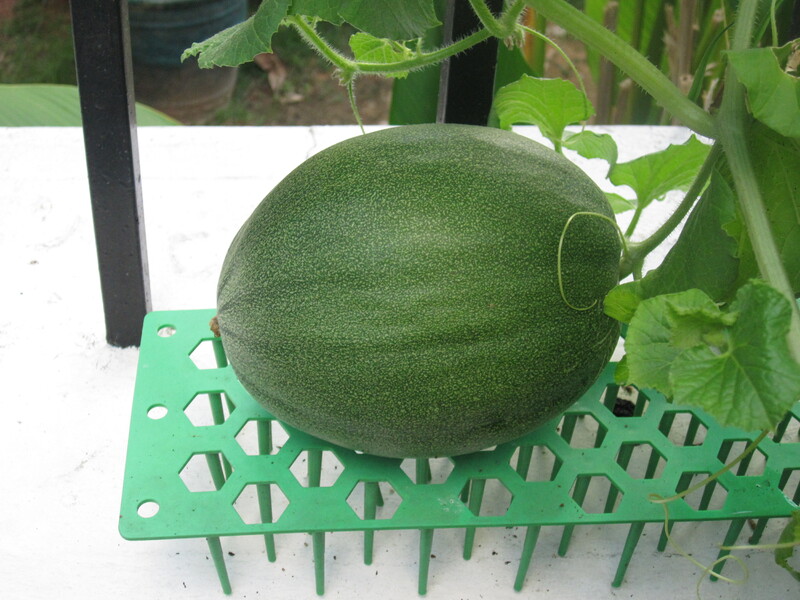 The big sponge gourd is dark green. The rest are light green. 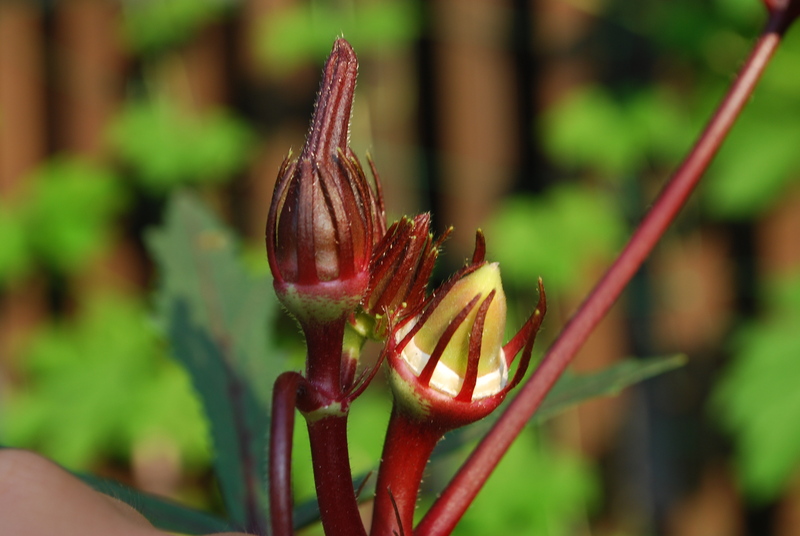 And they came from the same seed pack! 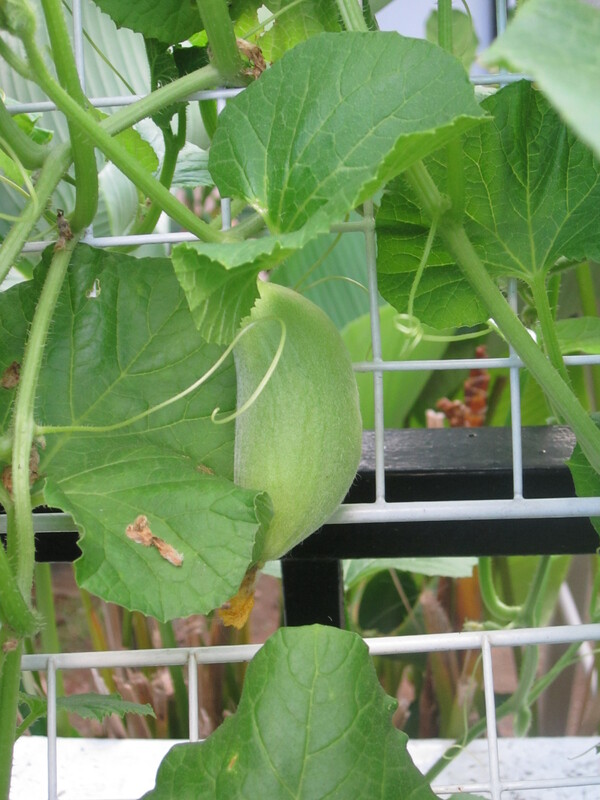 Also, the picture on the seed pack showed nice long cucumber-shaped gourds. Ours are definitely rounder and more egg-like. 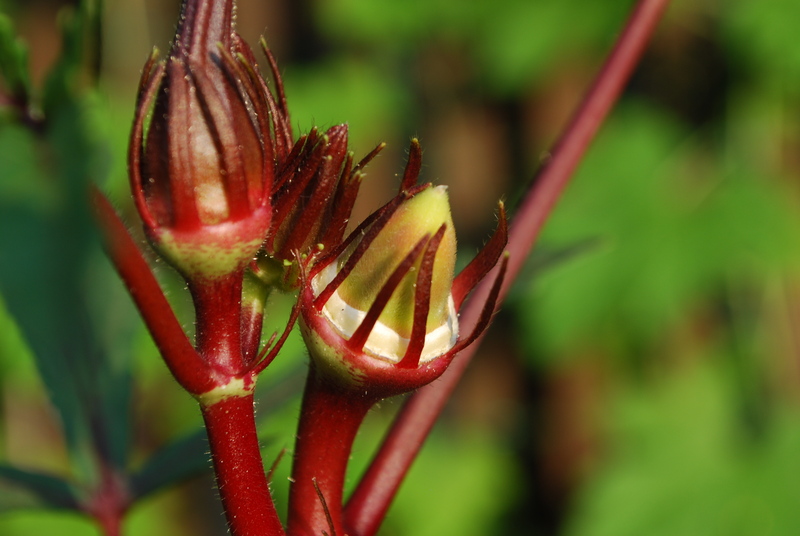 Just for you to admire my artistic shots, here is my red okra plant, fruiting merrily away. Just like Novice Gardener. 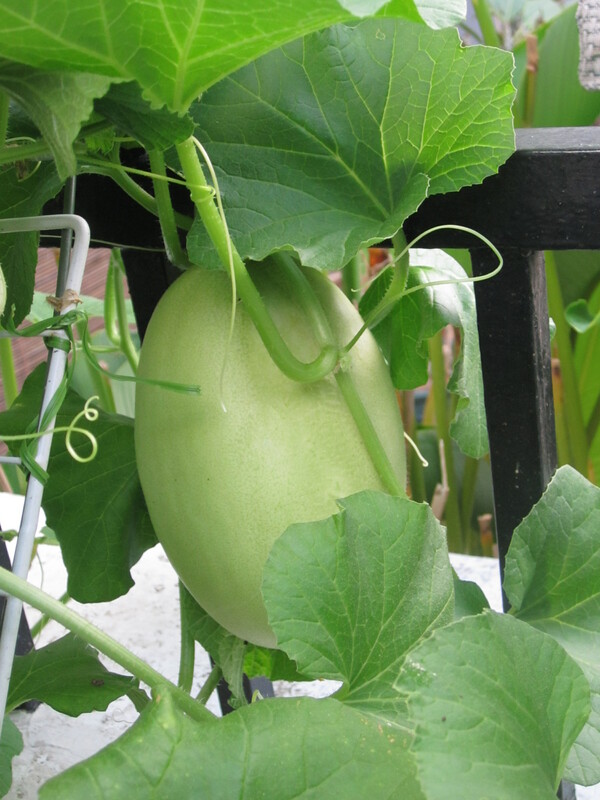 The Big Sister says Novice Gardener can keep her bittergourd benefits. She tries to escape her daily bittergourd juice in the morning. I sure hope it is keeping her insides healthy because it isn’t doing anything for her outsides. Do you know Mr Beethoven? If you do, you would know his Fifth Symphony which starts with Da da da Dum! Da da da Dum! The Big Sister has played it in orchestra. In my garden, you can sing Ba na na Na! Pa pa pa Ya! And you can admire the Banananas that I’ve written about many times. 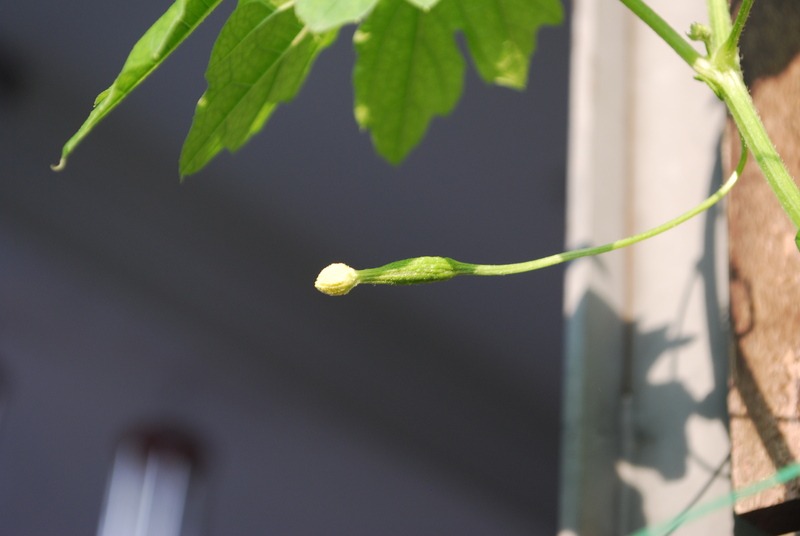 Here is the start of the Papapayas. Our ironing aunty pointed them out to me. 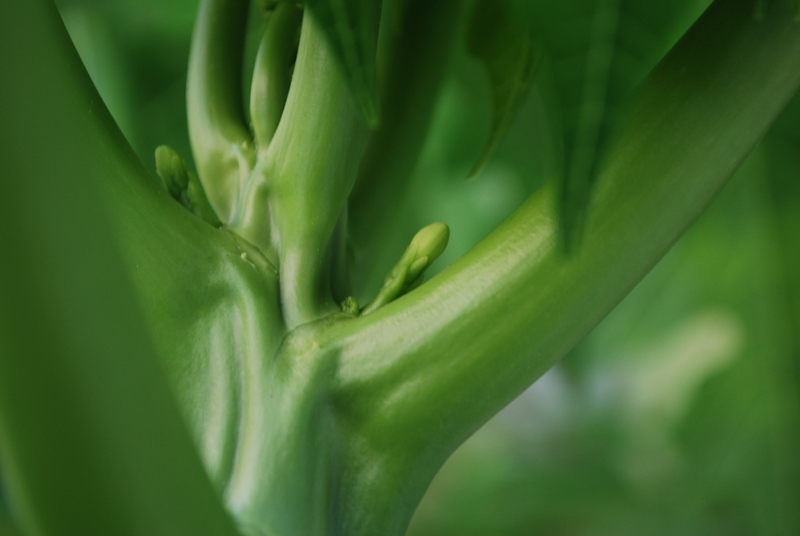 I really, really hope they become papayas. Real papayas. 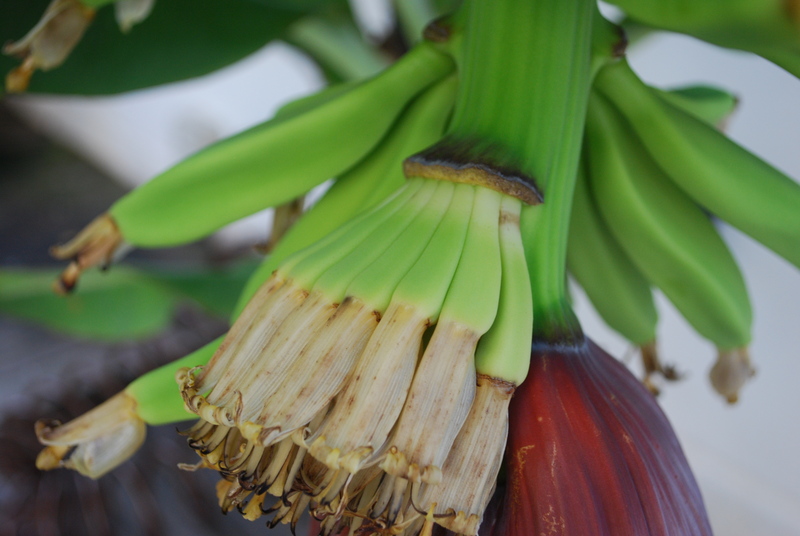 Girlnanas become nice fat edible bananas and they grow up first and higher up on the stem. The Big Sister says there is something I should learn from this. See the sterile flowers? They look and rustle like paper. They will fall off and make a mess on the ground. Boynanas come up later and they never develop. Growers chop them off so the girls get more nutrition. Luckily Mummy didn’t practice banana methods with her kids, hahaha! Anyway, have a look at these boynanas. At least, I think they are boynanas. Because they are much smaller than the girlnanas further up. Mummy made me use a black permie marker to write names on each hand of bananas. By the way, what I thought was a bunch (like the one you buy from Kevin our fruit man at Ghim Moh) is actually called a hand. A bunch means all the hands along the stem!! Back to my story. Mummy accused me of promising bananas to more people than we have bananas. So now we are labelling each hand of bananas. So far we have reserved bananas for Godma, my Pediatrician’s husband, The Big Sister’s godpa, our neighbours and my dentist. Luckily I don’t like bananas so I don’t mind giving all of them away. 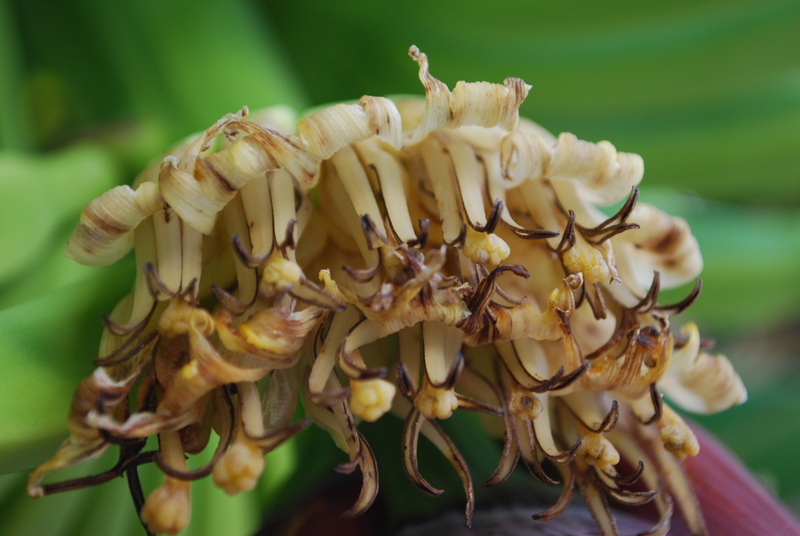 Our banana plant (read about it here and here) is very satisfactory. There are 6 hands of bananas visible now. You can see 4 in the picture above where the purply bracts covering them have lifted (2 bracts fell off, don’t worry, they are supposed to!). Sometimes Mummy’s friend from KL goes to a place in Tiong Bahru called 40 Hands to buy steamed red bean buns for Mummy. I am not sure why her friend comes all the way from KL to buy buns for Mummy and Mummy does not drive to Tiong Bahru on her way home from work to buy her own? 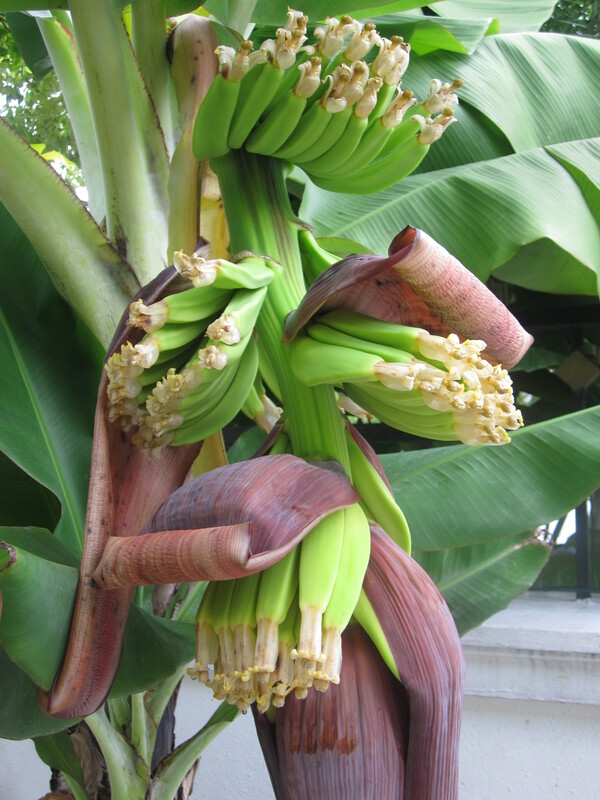 I wish our banana plant had 40 Hands. Then it would be in the Guinness Book of Records. Grandpa said not to fiddle too much with the plant and he will fix everything when he comes to visit. It’s very tempting to poke at the bananas you know.